The whole team and I welcome you to Normandy! 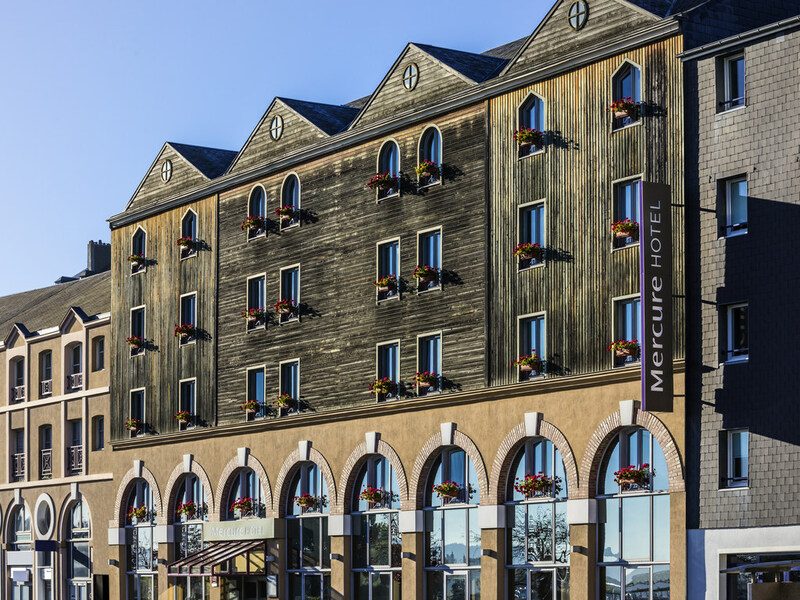 Located close to the Pont de Normandie and highway intersections, the Mercure Honfleur hotel benefits from a central location in the historic heart of the city, just 2 hours from Paris. This seaside hotel has modern, air-conditioned rooms. After a day exp loring the city, enjoy the modern decor in the hotel bar lounge. Stroll around the old port or relax in one of the many restaurants that are within walking distance. For those who take the time to explore, there are a wealth of cultural gems to discover in the small mediaeval city of Honfleur. A stay at this Mercure hotel is a great opportunity to relax and enjoy a change of scene. Whether you are travelling alone or as a couple, enjoy our quiet, well-lit rooms, each with a double bed or twin beds. If you want additional facilities and comfort, choose our Privilege rooms. Sip original cider- and calvados-based cocktails in our bar lounge.